I have often said that a person’s attitude towards animals is a pretty good indication of their attitude towards people, too. Valuing and respecting the right to life, and ensuring freedom from cruelty and abuse for all living beings is a fundamental starting point for a civilised society. We know that the Labour Party’s track record on Human Rights is excellent: they brought us the Human Rights Act in 1998, and the Equality Act in 2010. The Labour Party also have an excellent record of promoting animal rights and creating animal welfare law. Labour banned experiments in the UK on great apes (chimpanzees, orangutans and gorillas) in 1997. The Home Office stopped giving licences to test finished cosmetic products on animals in 1998. Established the National Centre for the Replacement, Reduction and Refinement of Animals in Research, this provides research into alternatives to animal testing. Banned fur farming in England and Wales by introducing the Fur Farming Prohibition Act in 2000. Labour made it illegal to hunt wild animals with dogs in England and Wales, passing the Hunting Act in 2004. Banned the use of drift nets which helps dolphins, sea birds and other marine animals. Passed the Animal Welfare Act 2006, so that owners and keepers are responsible for ensuring that the welfare needs of animals in their care are met. In 2009, the Labour Government and Labour MEPS worked to secure a European Union-wide ban on the commercial trade in seal products. Labour secured better welfare standards at a European Level for battery hens and chickens.Tightened up rules on the transport of live animals across Europe. Halted the decline of farmland birds, while increasing rare and woodland bird populations. Had Labour won the election in 2010, they would have also ensured that animals are protected from being forced to perform in circuses. Maria Eagle Labour’s shadow Secretary of State for Environment, Food and Rural Affairs, clarified that a Labour Government in 2015 will end the badger cull, when she spoke at the Labour Conference. “A Labour Government will tackle the scourge of Bovine TB, but not by using a policy dubbed “an epic failure” by the Chief Scientific Advisor of Natural England. Labour support an inoculation program as an effective, humane alternative to culling. 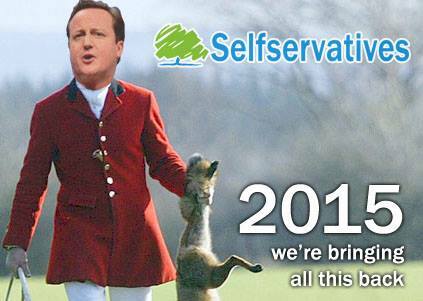 Conservatives have called for the repeal of Labour’s hunting ban. The Labour Party are committed to maintaining the ban and have started a petition to block the Tories. The Tory Environment Secretary, Elizabeth Truss, says that lifting the ban and bringing back fox hunting is her priority if the Tories win the next election. Please sign our petition telling her to keep this brutal bloodsport where it belongs – in the history books: click for petition link here. Cruelty to animals is one of the warning signs of psychopathology. If we want humane laws, then we must elect humane policy-makers. your tweets. If enough of you do we may even get it trending. Hunting with dogs may well be be banned in the eyes of the law but the reality is it goes on every week with those committing this grotesque blood sport doing do with impunity. Hunts openly flout the laws, regularly killing our wildlife while the authorities stand by and do nothing or in fact harass and detain those who try and stop it. The Hunting Act needs to be strengthened with tougher sentences for those found guilty. Interesting…but then all the Conservative party’s attitude to society is based on their treatment of dogs……………….don’t overfeed them……..it isn’t good for them………..don’t cosset them or they will get too used to it and it could turn them rebellious…………don’t grant the proletariat one iota of respect………..they are just workshy, a useless, slovenly mass of something less than human……Only treat people with respect if they have money, excuse tax avoidance it is natural……….if a rich person claims benefit, they are only exercising their rights, if a poor or sick person claims benefit they are workshy and are twisting and manipulating the system, close down such loopholes. Conservatism in a nutshell, part 2: Laissez-faire isn’t.